There's a long, interesting history of kettlebells and I'm sure if you've used them in your training at all, you've probably heard a little about it. To my knowledge, kettlebells are without question the only piece of man-made exercise equipment that has been around for hundreds of years without change. I mean, the concept is simple enough -- have a heavy mass that can be manipulated by structured and unstructured body movements while holding onto a handle attached to that mass. However, while it seems so basic, there are a lot of other factors going into how these balls of metal actually help you become a more functional human being. The fact that they have been around for so long, with so few changes, and have been so successful is a tribute to how effective they can be. The part that I like the most about them is they prove how basic and simple getting in shape in general can be. In the early 1700's in a few small towns in Russia, people threw together a steel ball with a handle on it to stage strength contests between the muscle-bound farmers and fishermen. The excitement of these small contests of strength, endurance, and coordination grew and grew until they became large, advertised competitions that even spread into the schools. The kettlebell's popularity spread like wildfire and people started to realize their efficient and effective health benefits. They promptly made the transformation from being just a competition tool to being a full blown training tool. Now, over 300 years later, they are going stronger than ever, especially in the past few years. Kettlebell seminars are popping up all over the world and more and more gyms are supplying them for personal training clients, small groups, and member use. In fact, I found kettlebells for the first time in one of the most unlikely places -- a “globo gym.” The first gym I ever trained at was one that makes me cringe nowadays, but it was a great step for me back when I got started. 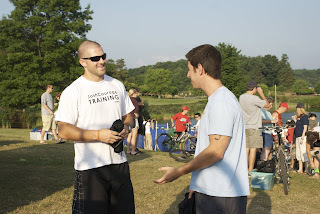 About six months into training there, a few other trainers and I convinced the owners to get a good selection of athletic based equipment (kettlebells included), and that’s where the fun began. I read a ton about them and how they could be used and I started supplementing my clients' training programs with some of the basics (swings, clean and presses, snatches, windmills etc.). I also started using them in place of dumbbells for some exercises as well. This is where some more specific info on the kettlebell comes in handy. 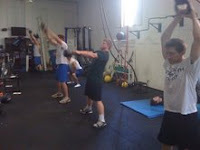 The first principle kettlebell training is understanding that they supply a weight displacement. Dumbbells and barbells are always perfectly balanced in your hand. While one must activate stabilizers to control a movement, they are still getting a direct weight load from where the weight is being held. Kettlebells (when using them for basic presses, pulls and stability-based exercises) have a weight load that is off-center from where you would hold it. This loads your muscles in a different manner, forcing more activation in the stabilizers through your wrists, elbows and shoulders. 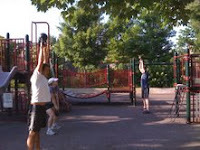 But the reason the kettlebells have survived the times is because of their ability to perform dynamic exercises. The basic swing shows all positive aspects of the kettlebell perfectly. 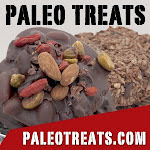 If you’re still not completely sold on their benefits, I think understanding how they work all aspects of the body confirms that, well, they are a great tools. First and foremost the entire muscular system is utilized with this exercise. The only aspect of the body's movement that is not touched upon is rotation, but because of the motion of the swing, the body with be forced to resist rotation, working a great deal of core stability (stability through the lower spine and hips mostly). A full body flexion to extension is one of the best ways to build truly functional strength because the most used portion of the body (the core – stomach, hips, back, glutes – or, trunk) gets fully contracted when extended. Every joint in the body is being worked which means the stabilizers are in full swing throughout the movement. This also means that every main mover (the bigger muscles, like in the quads, hamstrings, chest, back etc) must be activated to supply the action. But here’s the part that I like, and why this move is so great for those who want to be able to move better (athletes, pay attention to this one): the ability to move the body dynamically, with no impact makes this exercise truly functional. You must accelerate, decelerate, stabilize, contract, relax, extend, flex, push pull, and endure. Then repeat fourteen or so more times. The human body was built to generate power, this means to use strength to move oneself or something else through space in a short amount of time. To generate power, the muscles all have to work in coordination with each other or else one's maximal power output will not be achieved. With the swing, a perfectly coordinated drive from the lower body generates momentum to the upper body, which stabilizes the weight of the kettlebell as it flies above the head. The shoulders, chest, back and stomach all fire to decelerate the weight and the lower body moves back into the eccentric contraction (back into a squat). All of this happens at an extremely fast pace and forces the bodies muscles to fire in perfect harmony to make sure everything stays protected and becomes strengthened in their movements. Well, that’s the “geeked out” version of what happens with a typical kettlebell swing. What you really need to know though, is that using this piece of equipment, either for its dynamic and momentum driven exercises, or as a replacement for the dumbbells will result in a great all-around workout and a better functioning body. I've seen these things used in every possible way. Outside as a tool to literally throw around, as a replacement for other weights to do exercises like deadlifts, squats, overhead presses etc., as a full blown training session where the thing never gets put down (which can get exhausting, trust me), or as a supplemental piece of equipment to superset with (kettlebell swings with push ups and box jumps for example). They are extremely versatile and easy to use. If you have a basic understanding of how the body works, the possible exercises become endless. If you've never used them, you can easily find classes locally that offer the use of this fun piece of equipment. Or, you can check out a lot of sporting good stores and find them for sale. Below you will find a list of links that I like for kettlebells, below that you'll find a few basic workouts that I like to use when throwing these things around, and below that you'll find a selection of clips demonstrating some basic Kettlebell exercises. Enjoy. Perform entire circuit with 15-30 seconds rest between exercises. Rest 60 seconds and repeat 2 to 4 times. Waking up at 4:30, toasting up a bagel with peanut butter, and drinking a wonderfully chilled Honest Tea put a great start to what turned out to be the perfect weathered day for a race. 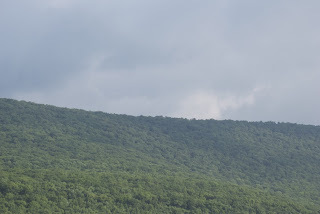 We packed up our things and hit the road for the two-hour trip to Rocky Gap State Park, just west of Cumberland, Maryland. And it totally was the perfect day. High 70's, moving to low 80's, the blue waters of the lake were in the mid 80's, the sky was scattered sparsely with clouds, and a light breeze kept things just right. 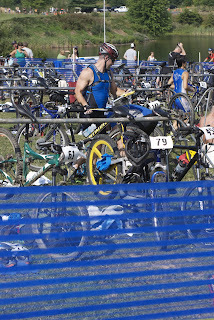 I signed in, got marked (here's the first sign that something was “off” that day) and went to select my spot at the transition area. Let's take you back a week real quick. I get a great bike from a client of mine, not a $4000 ride, but a solid mountain bike that I know can hold me and take a beating as well. I know this because my client is a bit bigger than me, and potentially almost as crazy. I also know this because I brought it to a very trustworthy source of bike experts to get it tuned up. They said it’ll be just fine. They said this thing has barely been used, and it'll run great after things get tightened. We proceeded to have a three-minute conversation about replacing the chain, just to be safe. Remember that one. Flash back to race day. 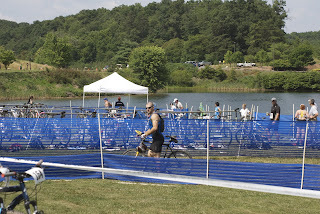 The lady asks me what I'm racing and I say, "solo triathlon." She asks what age group I’m in and I say, "25 to 29." 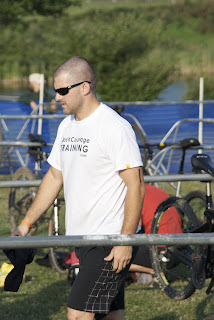 She asks which leg I'm racing and I stare at her for a minute and say, "all of them, I'm doing the triathlon." She writes a 25 on my leg and turns to the next guy. I say, "what about my arm?" She tells me only people swimming get that. I say, "I am swimming, I'm doing all three events." She asks what age group. Oh. My. God. That finally gets cleared up after a couple more questions (she then proceeds to mess up my friends numbers too) and the race is about to start. I test the water and it feels pretty good. The final instructions are given and the starting horn sounds. We run about 100 yards down the sand and splash into the lake. It's a "U" shape we swim in, and I just find a nice easy pace and stick to it. 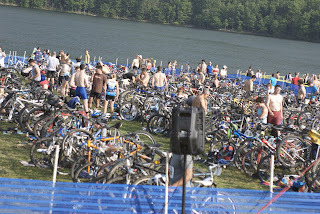 That was the plan all along – just don't get overwhelmed by the swim, then tear it up at the bike and run. We looped once, ran across the sand again and repeated. This time around, I felt even better, but still just took my time and ran out towards the transition 33 minutes into the race, not too bad. I threw my gear on, trail shoes, tri top, sunglasses, helmet, gloves, and camelback, and I was off. Here was where it got real fun. I tore it up fast. Within one mile I had already passed some 30 bikers and I wasn't about to slow up, no matter what. Biking is where I turn it up a bit. My legs are strong and, generally, I have no fear of crashing or wiping out, I just go all out. We dipped into the trails and I kept passing people, feeling more and more confident with each turn, each rock, each sharp slope. Now this was a physical impossibility unless the thing straight up broke, and I had never heard of that sort of thing happening. I went to go get the thing off the trail, without worrying about how it fell through the derailer, and hook it back on so I could go pass all these people again. But, of course, go figure, the one thing I never in a million years could imagine happening was staring me in the face. The chain was broken, right in half. Nothing I could do about it at all. 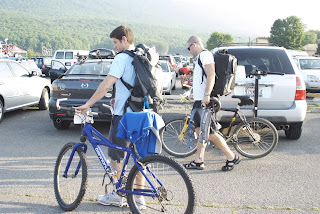 I had tools, but not for that sort of thing; I had extra equipment, but who the hell carries a new chain around? And remember, this thing was one week old!! Seriously?! So I walked back through the woods. Each step found me more and more pissed off, but what could I do? About 1/4 mile from the start I ran into a cop who was directing traffic. He asked what happened and offered to help. While it was against the rules, I figured at this point there was no way I would place anyway, so I might as well get it fixed and do whatever I could, so I did. Same turn, same spot. Chain breaks again. Pretty depressed and pissed, I head back through the woods and back to the start where I laid out in the sun and waited for my friend. Man did that just take the wind out of my sails. In retrospect, a lot worse could have happened, for example injuries and what not. And while it was really frustrating, and I had a rough evening dealing with the fact that all my training and money went to about 45 minutes of all-out effort and then walking through the woods with a broken bike, in all my years of playing competitive sports I have really had some great luck. So, I'll be back out there soon enough, that's for certain. But I’ll tell you what, being prepared is something everyone should be when going to compete in anything. You really never know when the impossible might actually stop you. I guess another way to look at it is, when you do a ton of things, some crazy stuff is bound to happen, and you should just enjoy it for the experience. New picture site is up! I'm having a rough time with my website right now so hang tight with updates there.